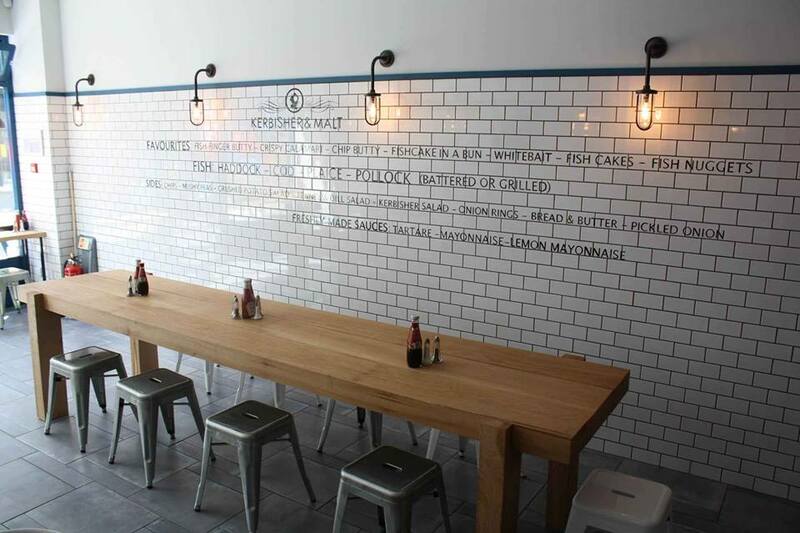 Welcome to Kerbisher & Malt, a modern, British fish and chip shop. 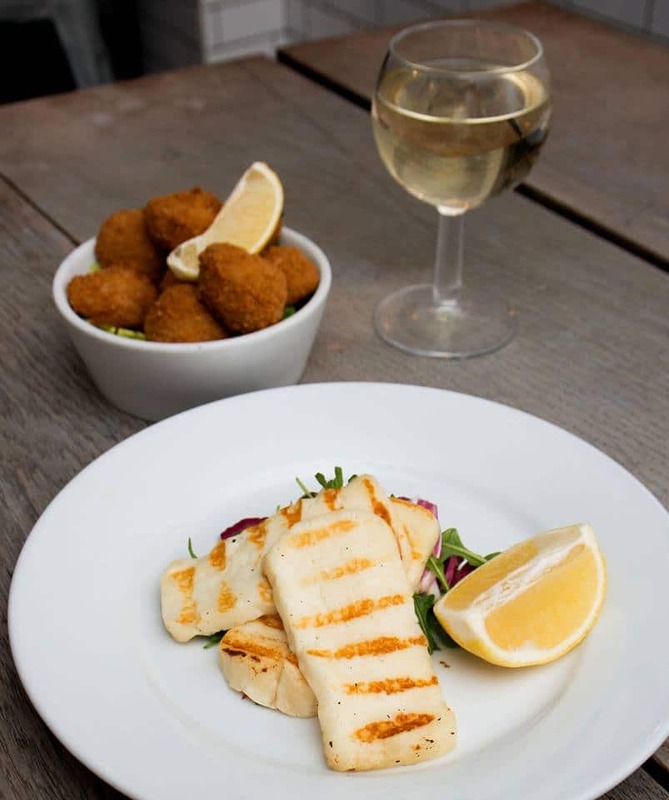 At Kerbisher we simply believe in fresh food, hand-prepared by our chefs in the shop kitchen every day. We opened our first shop in Brook Green in May 2011. 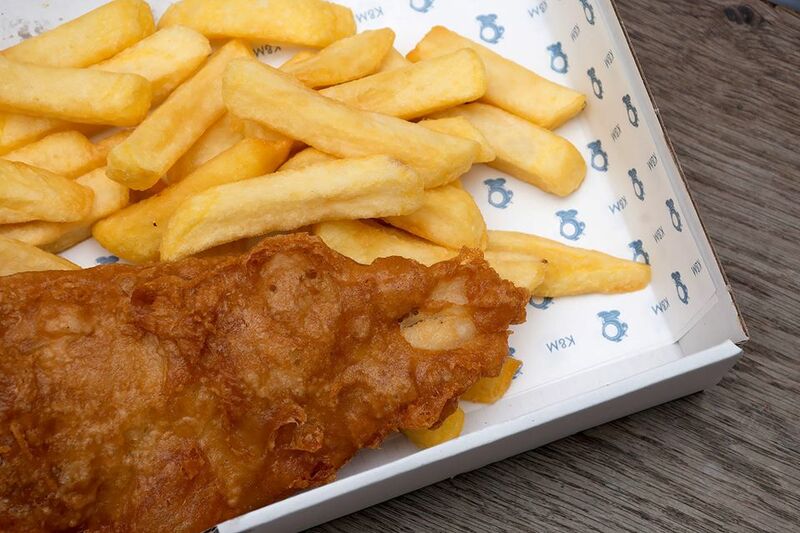 The aim, then and now, was to make our favourite fish & chips the way we thought they should be – simple, fresh and tasty. 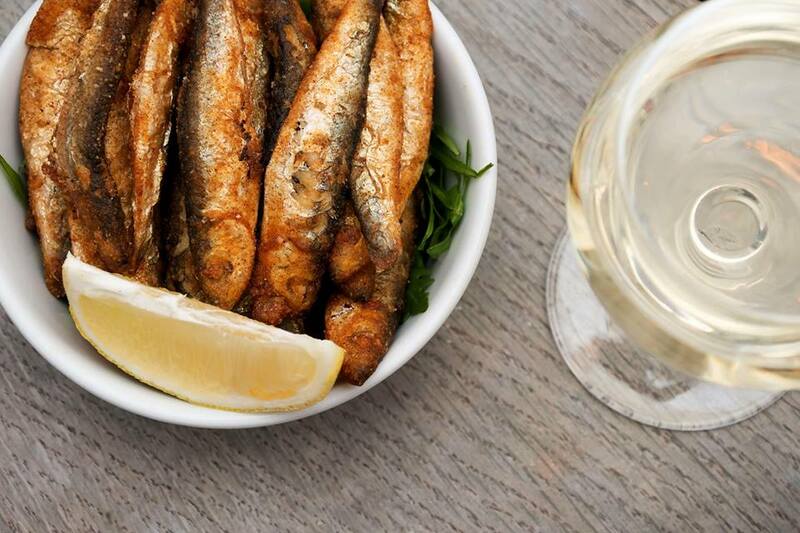 So fresh fish (from sustainable sources), twice-cooked chips, handmade salads, mushy peas and batters, great beers and coffees, environmentally friendly packaging and a nice place to sit down. And no to preservatives, no to food from a packet, no to dirty oil, no to neon lights and no to soggy chips. 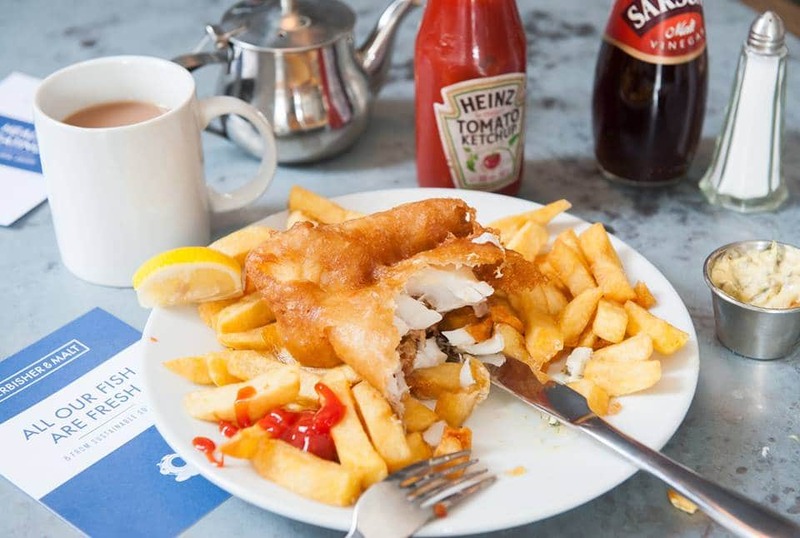 We’ve opened some more shops since then, each with their own style, but all with a commitment to producing the best fish & chips we can.